The Set-up: Groups of 6 to 8 players with one ball per group. Lines should be approximately 15 to 20 yards apart. The gate should be about 2 to 3 yards. Player A dribbles with speed and passes a ball through the gate to player B. Player A now joins the end of player B’s line. Player B takes a positive first touch and runs with the ball and passes the ball through the gate to player C and joins the end of his line. 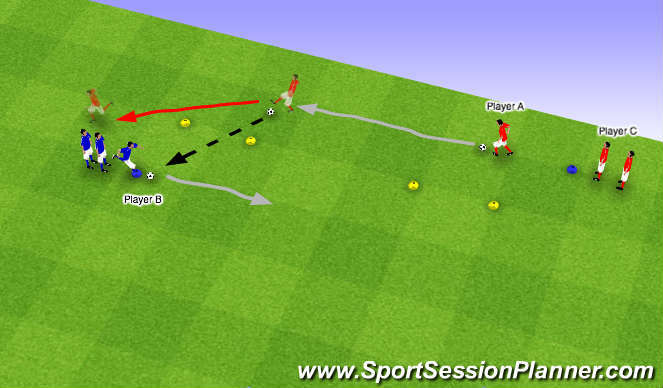 Player A dribbles with speed and passes a ball through the gate to player B. Player A now runs backwards to rejoin his own line. Player B takes a positive first touch and runs with the ball and passes the ball through the gate to player C, Player B now runs backwards to rejoin his initial line. 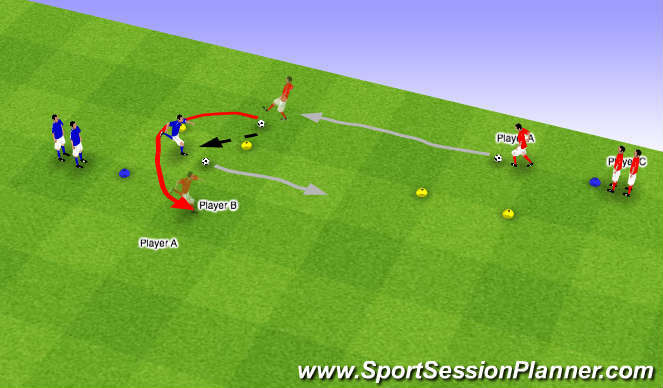 Player A dribbles with speed and passes a ball through the gate to player B. Player A quickly sprints around the outside cone and races player B back to his line. 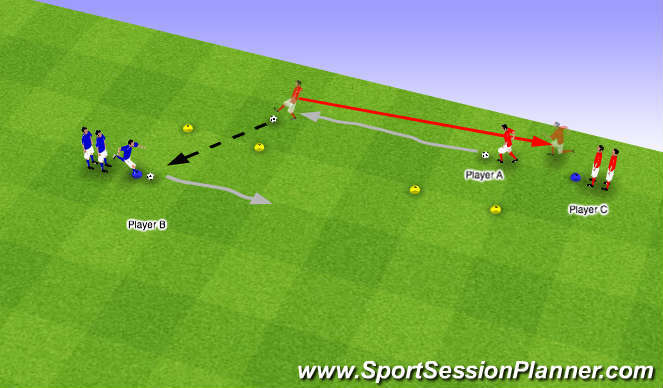 Player B takes a positive first touch and runs with the ball at speed and passes the ball through the gate to player C. Player B quickly sprints around the outside cone and races player C back to his line.